With our online services, you can access your credit union accounts on-the-go, wherever life takes you! 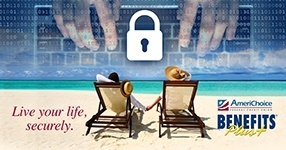 Experience 24/7 access to all of your credit union accounts in a secure, online system. 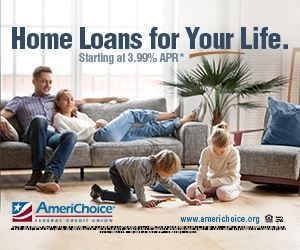 Now you can use a card or checking account from another financial institution to make your AmeriChoice loan payment. A convenience fee will be added to the payment for a card or eCheck transaction. The fee will be displayed before submitting the payment. Contact us with any questions you have at 1-800-240-4364 or visit one of our locations. *Unavailable for use with your AmeriChoice debit or credit card to make a payment on your AmeriChoice loan. The ultimate in convenience services! Now you can enjoy “anytime access” to all of your credit union accounts in a safe and secure environment. Transfer funds between accounts or between pre-authorized account numbers. Signing up for eServices is easy. Download the eServices Enrollment Form to apply! 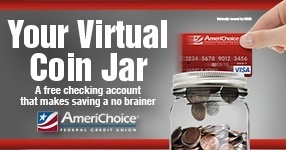 Simply enroll in AmeriChoice Home Banking to begin banking from your mobile device. AmeriChoice Mobile Banking makes managing your money simple and easy. Download the eServices Enrollment Form to start banking from your mobile device! To enroll, use your home banking log in information and click on SMS settings and then follow the instructions to register your cell phone! If you enjoy using our web site to find out what’s going on in your credit union, you are going to love our Electronic Bill Payment Service. Paying bills has never been easier. View an Interactive Demo for Electronic Bill Payment to learn more. The Convenience Of eStatements Has Arrived! Verify that your email address is correct. If not, retype it in both boxes. Click on the box marked Send Member Statements Via E-Mail. Make sure the box marked Send Member Statements Via Normal Mail is NOT checked. Click submit. Confirm the changes you have made by reading the wording in the window that opens up and indicate your agreement by clicking on OK. You will return to a previous screen and be notified in RED that your changes have been made. NOTE: If you have selected to receive your statement notification via email, you will no longer receive a paper statement. If you wish to receive paper statements again, simply reverse the two unchecked boxes and click submit. Sign on to Home Banking. NOTE: This option is also available to ALL members who use Home Banking, so that they can review their previous statements online. Access your AmeriChoice Classic VISA Credit Card account online 24 hours a day, 7 days a week! Have your AmeriChoice VISA Credit Card handy when you login! It’s really that simple. Whether you are looking for a Mortgage Pre-Approval or you are ready to submit your application, our online system is quick, easy, and hassle free. Get started today. We offer a wide variety of check styles from Deluxe Check Printers to give you the personal touch you desire. To place a reorder for your checks, call us at 1-800-240-4364. You may also reorder online here. And remember, if you are a Stars or Stripes Reward member, you may get checks free.